This delicious dessert will melt in your mouth! Mysore Pak is one of the oldest delicacies of southern India. It was originally prepared in the kitchens of the Mysore Palace as treats for the king. Even today it’s one of the most popular Indian desserts and is cherished by many. 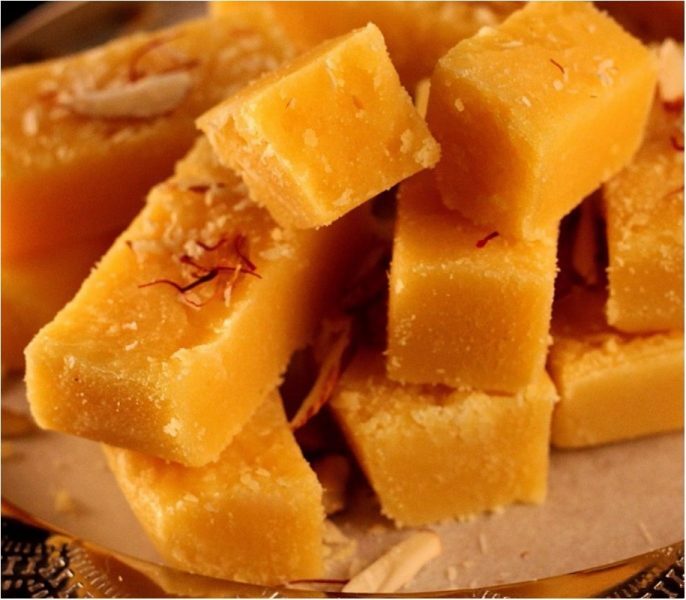 The smooth texture is rich in ghee and sugar, and it will leave you wanting more. Try this easy to make 4 ingredient Mysore Pak at home. Melt about one and a half cup ghee and mix the gram flour in it. Make sugar syrup mixed with sugar in sugar. When the syrup is cooked, mix the gram flour in the boiling syrup. Heat the remaining ghee and mix it slowly in the syrup. This will start to get trapped in gram flour. When it appears that the gram flour is frozen, immediately turn it into a plate or barfi tray. Cut the squares after being cooled. 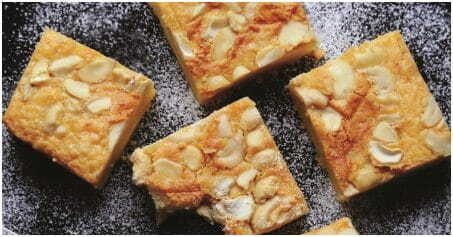 If you like, you can also put an almond cloth on it immediately after spreading in the plate.